Just a call out to see if anyone has accidentally pick up Jane's "Weathered Clock" stamp? You know the one ...... Jane's absolute favourite that has been discontinued ..... well we cant find it and we are devastated ....... Have you seen it floating around the shop somewhere??? Or did you inadvertently pick it up after the last class you did??? 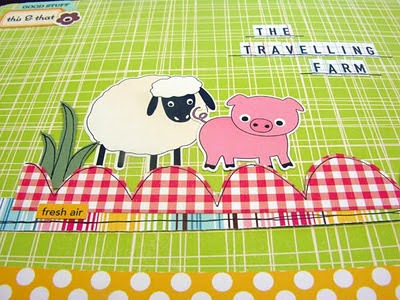 Tomorrows Cuttlebug class still has vacancies - a lovely single page - 1.30pm - bring your Cuttlebug! A sneak peek of Stephs Album class. STUNNING!!!! Lots and Lots of photos!!!! Well.... the family holiday to Queensland was just wonderful and we had a ball! But ... back to work now and I cant believe how much new stuff has come in while I was away. I figured it was easier to walk around with my camera rather than explain it all!! 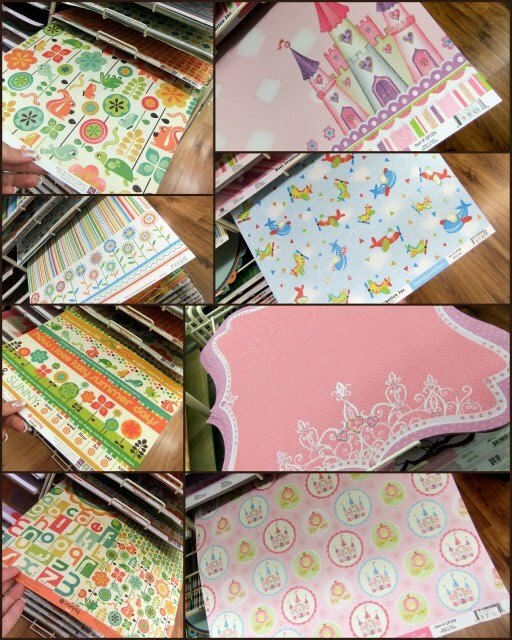 There are at least a dozen new ranges of paper! They are all AMAZING and will certainly feature on upcoming projects and classes! 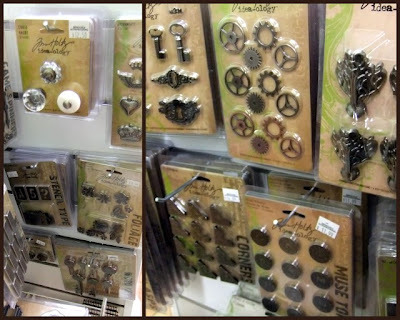 Some new Tim Holtz goodies..
Have you seen these yet? Be quick - we sold over 100 in 2 days! This one is pre stitched with a cute double border ..
And this is the CoreDination where you sand off the top layer to reveal an image underneath - perfect for cardmakers! 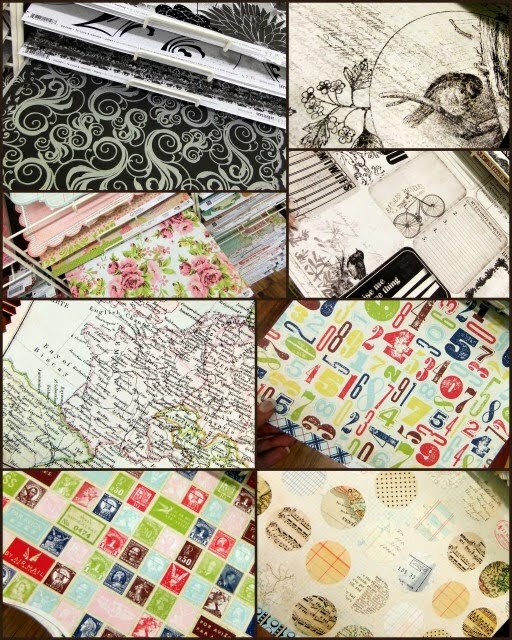 Tattered Angels and 7Gypsies have got lots of new products too so don't forget to have a look at that! You have probably noticed our fabulous new K&Company stands! Aren't they gorgeous! 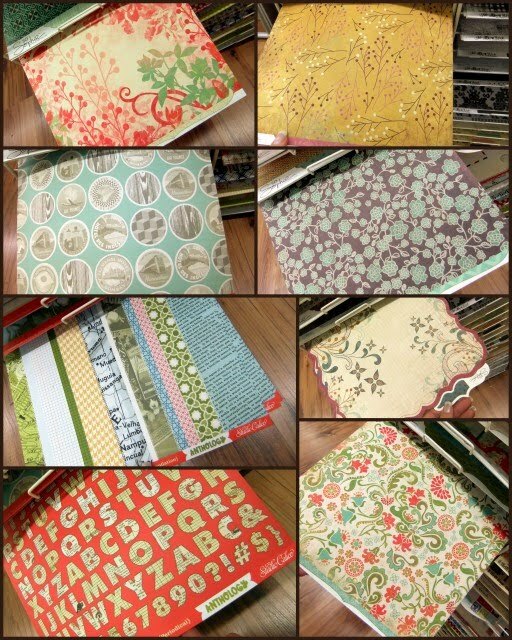 There are lots of new classes coming up so pop back in a day or so and I'll have some sneak peeks for you! Until June 5th, we are taking a MASSIVE 15% Off the price of ALL pre-packaged Chipboard products! This includes SCRAPWARE, RW Laser Cuts, Twiddlybits and so much more! I am sure she will be updating the blog again Soon. I have really missed her. October Afternoon - Thrift Shop, a really pretty range in creams and soft colours, there is even one paper with dress patterns on it. Best Creations Inc - Once upon a Dream, perfect for the little girls in your family, its a range of princess and castles with glitter on every page. Upsy Daisy Designs - See ya later Alligator, this is just gorgeous and perfect for babies or little people. The colours are soft blues, creams, and greens. Kaiser Craft - Devonshire Collection, this one is old faishon in blues and oranges. Perfect for a brighter heritage look. Prima - Top up of papers. 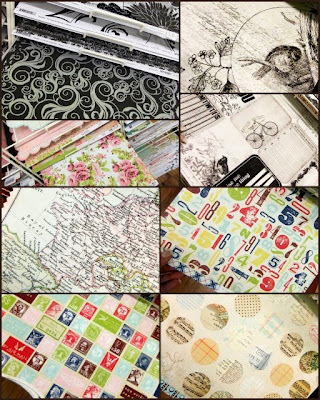 I have contacted Prima only to be told that all there papers are now discontinued and once their stock is gone, that's it! 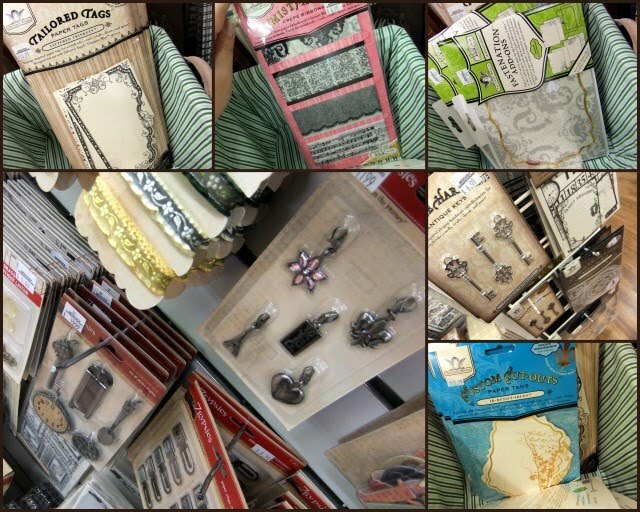 We also now have Tim Holtz's new embossing folders. 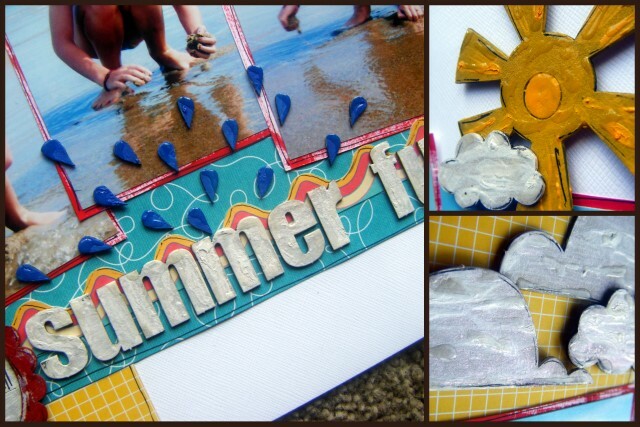 These will work in sizzix or cuttlebug. We got a top up of our Martha Stewart Punches. More cuttlebug machines have arrived. We also got another 8 boxes of bits and pieces, too many to list. Arriving hopefully today is our order of Smooch inks, I will be doing classes using this amazing product. With it will be some more spellbinders and just lots of other stuff. My apologies - I have been a little lazy this week on updating the blog but here are a few tidbits for you! My Scrap the Boys class went great last night and for those of you who ordered a kit, it will be under the counter for you on Monday. 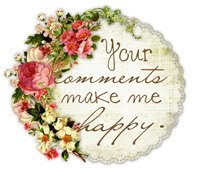 The page is on my blog for those who would like a look! Tonight is Late Nite Scrap starting at 6pm until 10pm. Unfortunately I wont be there tonight as we have a week of birthdays and anniversaries but the ever amazing Sam will be there to assist you all. Tomorrow morning is the first of our Guest Teachers for this quarter, Louise Nelson. 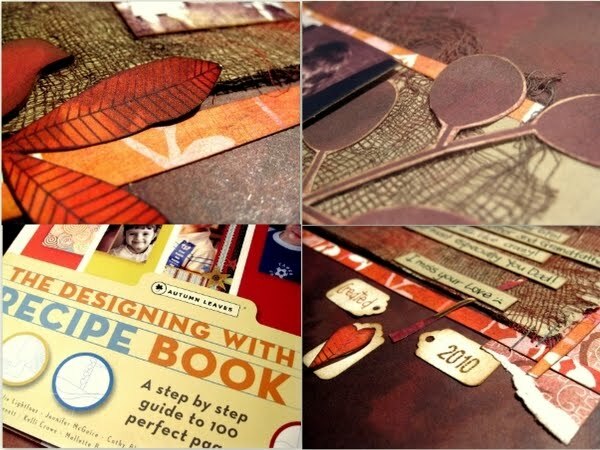 Using the wonderful Autumn Leaves book "The Designing With Recipe Book' that is packed with Inspiration and which Jane is selling in the shop. 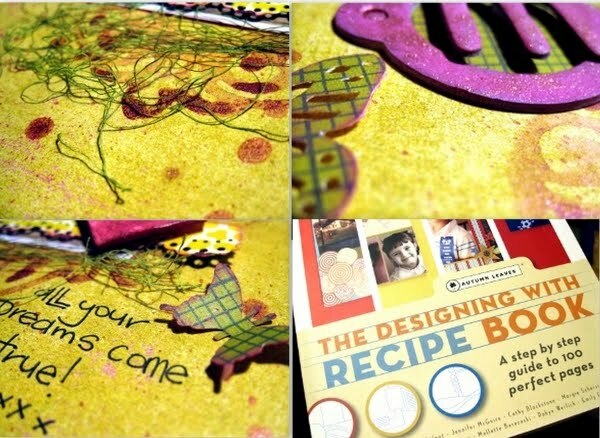 I have started my series of classes with a lovely layout created by Cathy Blackstone based on 'recipe' which you will receive in your class kit. I have used a lovely range of patterned papers from Basic Grey from the Indian Summer range. This layout suites the use of multiple photos [check out the original in the shop] but if you would like to bring some photos to class it would suit black and white, sepia, a combination of both, and/or photos that are earthy colors. For the 'Male' version of this recipe I have done a simple mainstream copy of Cathy's layout. However, if you are feeling slightly adventurous I have also completed a Female version of the recipe, that is more freestyle in its approach but very simple and easy to follow. Once again I have used some glorious Basic Grey patterned papers, from the Lemonade and Origins ranges. They are the most gorgeous yellows and greens with a subtle dash of pink. For this layout design it would suit a single portrait or landscape photo 4.5" x 3.5". The class starts at 10am so make sure you bring your normal kit and some photos! Lou is repeating this class on Thursday the 20th at 7pm if you cant make the Saturday Class. Steph is repeating her beautiful Printers Tray on Tuesday 11th Steph has two classes next Saturday - the Heart Stand in the morning & Steph's Page - Beautiful Page by Prima in the afternoon. Jane will be teaching her beautiful Wedding Book Saturday as well from 10am. On Saturday May 22nd, Jane will be teaching her Men's Graphic 45 page and I'll be doing a beautiful Female Graphic 45 page in the afternoon. And finally, the amazing Kathie Link is Guest Teaching on Saturday May 29th. Kathie will be making two single page layouts, suitable for boys or girls, featuring the October Afternoon Farm Fresh collection. 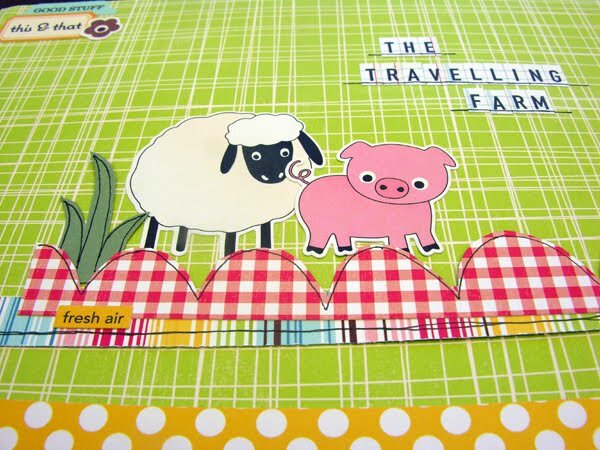 Possible themes include farm animals, pets, gardening, fetes, outdoors. The layout pictured uses a 6x4inch photo (or two 3x4inch photos). The other layout uses two 4x6inch photos (and an optional third photo that you can crop into a circle). All materials with the exception of the letter stickers shown in the sneak peek are included in the kit. Class participants should bring their standard scrapbooking kit. So there is a lot happening as normal in the shop so pop in and say hi! I'm off on holidays for the next 2 weeks so see you soon all happy and rested! Finally I have had the opportunity to complete the class for May and I thought I'd show the previous classes that we have done as well. The Book Of Me class runs once a month and we are creating a 9x9 album about ourselves. The first page is the simple title page. The third class was about our most prized possession or the best gift we have received. The fourth class was our favourite or "go-to" recipe. And our class for May is our favourite things. Next month will be "Things my Mother and/or Father taught me". 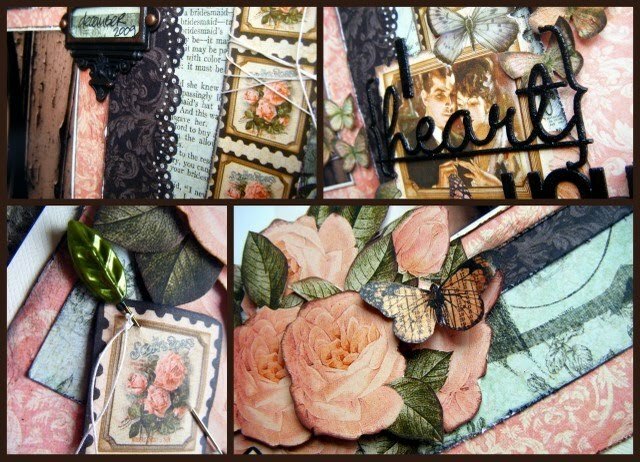 I probably wont get the time to get this page done before the next class as I have just had a massive card order come in and we are off to the Gold Coast on Monday for a family holiday but I'll certainly try! Dont forget to email me your request for files if you need them for the May class. Like I mentioned, I'm heading away on Monday so make sure you email me by Sunday afternoon at the latest.